Mikvah is a most precious and beautiful mitzva (Torah precept). There, enveloped by its living waters and immersed in its sanctity, one is transformed to a state of spiritual purity, reaffirming the cycle of life. A Mikvah can be built in just about any structure. Often an entire, separate building is constructed to make the observance of this Mitzvah as comfortable and convenient as possible. Sometimes, one is built inside a synagogue or Jewish community center. 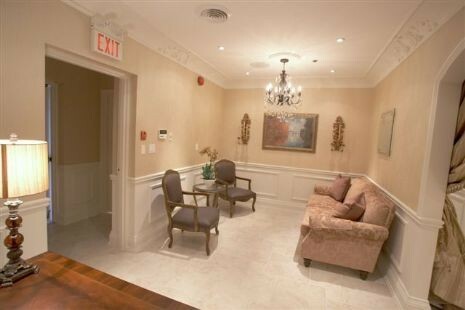 Have a seat in the comfortably appointed waiting room. An attendant will be with you momentarily. Your privacy is primary here. 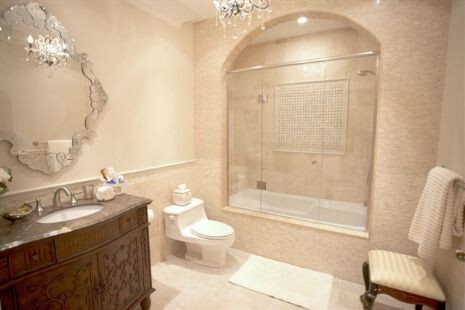 Mikvah is a very private Mitzvah. Only one's husband and the attendant know of the visit to the Mikvah. No one else has a need to know. Indeed, in this case, discretion is commendable. The attendant arrives to accompany you to an available preparation room. 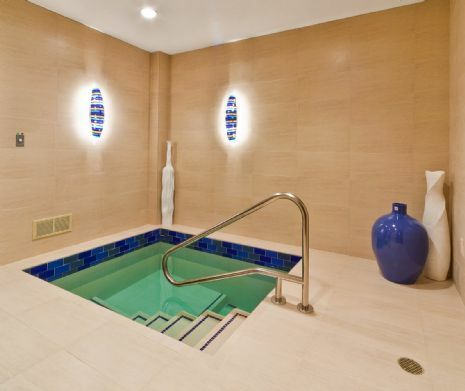 Cleanliness is paramount in properly fulfilling the Mitzvah of Mikvah. A special room has been equipped and furnished to allow the utmost comfort and ease in preparing for immersion. 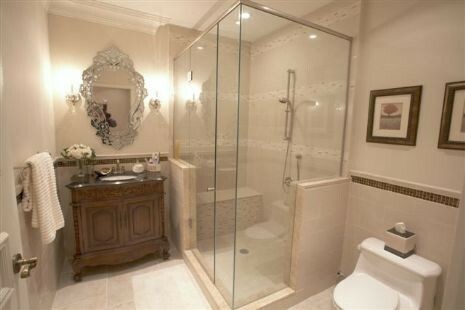 An elegant bathroom, complete with commode, bathtub and vanity is ready for your use. Everything is shining and clean. Nails are trimmed, teeth cleaned, and hair combed free of interfering knots. No make-up, nail polish or anything artificial may intervene in this sacred mitzvah. Everything that would come between your natural body and the sanctity of the Mikvah waters must be removed. There is just you and G-d, the way you were created, in His image. When you have achieved this purely natural, clean state, you may don the fresh robe provided and ring for the attendant. There is a shower provided for the last step before immersion. A final shower allows you to rinse off and comb through and enter the Mikvah wet, as Halacha (Jewish Law) states. This Mikvah's preparation room provides a shower as well. Should a woman prefer to bathe and prepare at her own home, only a shower at the Mikvah, is necessary prior to immersion. At first glance, the Mikvah, its construction and its waters, may appear nothing more than a very small swimming pool. What sets it apart, granting it sanctity, are the manner of construction and the water itself. The waters of the Mikvah are "Living Waters", coming from a natural source. A tiled pipe on the wall allows rainwater to flow directly into the "Bor" (lit. reservoir). The "Bor" maintains this natural source, and through an opening either to the side or from underneath (in this particular Mikvah, the "Bor" is underneath), these 'Living Waters' (i.e. the natural water) "kiss" the city water added into the main pool, maintaining constant contact between the two waters during immersion. The construction of the Mikvah is quite complex, and must be supervised by rabbis trained and expert in the field. As you can see, it is not a swimming pool! It is now time for the actual mitzvah of immersion. The Mikvah attendant will hold your robe and wait discreetly while you step down into these very special waters, following the very same footsteps taken by Jewish women throughout the centuries. The water is about chest high. You immerse, water covering every last hair. The mitzvah surrounds you. It is but a moment, yet you sense the holiness here. Come up and recite the blessing. Immerse a couple of times more (or as is your custom). The attendant has watched carefully to ensure that each immersion is complete according to Halacha (Jewish law). She pronounces each immersion: "Kosher", and her voice rises to the heavens, witness to the fact. This is your time. A moment just for you, when the gates to heaven are open to your personal prayers. Now the mitzvah is complete. You are renewed and reborn in a spiritual way unlike any other. If you would like to locate the Mikvah nearest you, please check our Mikvah directory. If you are unsure or unable to locate one near you, you may contact our offices via email mikvah@mikvah.org or by telephone at 718-756-5700. 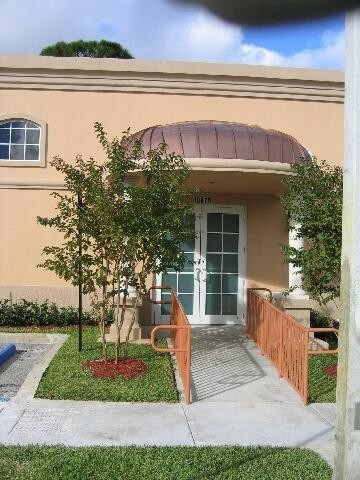 Please note that each Mikvah runs on a different schedule, some by appointment, others open daily. Please call the number listed at the Mikvah of your choice to verify hours. The author calls Mikvah the secret of Jewish survival, a mystical connector to the Garden of Eden, and explains the Mikvah's fundamental connection to birth, marriage, conversion and death. This is a revealing book that explores old myths and prejudices and offers insights never before available to the English reading public. A collection of thought-provoking, personal essays by women, is also an excellent and highly recommended read. Full of insights and information, this book contributes to our understanding of Mikvah. Please note that this brief overview is in no way a substitution for in depth instruction of the complete laws of Family Purity. To arrange a study partner on the laws in detail, either in person or by telephone, or if you have any questions, please contact us! We thank Mikvah Raizel of Las Vegas, Nevada for their assistance. We offer specail acknowledgement to the memory of Rebbetzin Raizel Gutnick ob"m by her philanthropic son and daughter-in-law, Rabbi and Mrs. Yosef Gutnick of Melbourne, Australia. We also acknowledge the very gracious Rabbi and Mrs. Yitzchok Raitport of Brooklyn, New York, who were instrumental in establishing Mikvah Raizel in Las Vegas, Nevada from its inception to its completion.